UPDATED: Thu., Aug. 24, 2017, 10:25 p.m.
BOISE – Idaho Sen. Jim Risch declared Thursday that health care reform can’t succeed with just one party backing it, saying it must be bipartisan. Risch, a conservative Republican, said no major social program in American history has succeeded with just one party backing it, and he said that’s at the root of problems with Obamacare, which he called “an abysmal failure” after being enacted with support only from congressional Democrats. 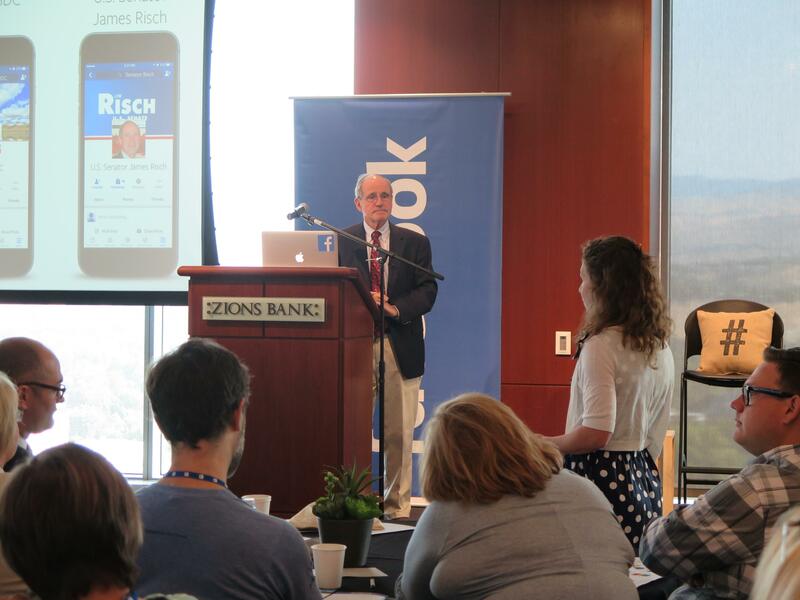 Risch’s comments came as he spoke at a small business event co-sponsored by Facebook, Zions Bank and the Idaho Small Business Development Center, offering free training for Boise-area small businesses on using Facebook tools; Facebook paid for the free session. Several members of the audience pressed Risch about health care – saying they can’t survive in small business without reliable health care for their families and employees, and criticizing his voting record on the issue thus far. Risch said he and the people asking the questions all want the same things. “I want to see affordable health care that’s available to every American that wants it and needs it, and it’s difficult,” Risch said. When Amber LaBelle, a veterinary opthamologist from Garden City who’s contemplating opening her own clinic, pressed Risch on whether he’d “reach across the aisle … so that I can provide health care for my daughters as part of my engagement in small business,” the audience erupted into applause and cheers. Risch, who took just two questions from the audience before organizers cut him off to begin the Facebook business tools program, spoke with several audience members as he left the stage, and took questions from reporters afterward. He said health care is a frequent topic that comes up when he speaks with people and groups in Idaho, though perspectives vary depending on the group. Published: Aug. 24, 2017, 11:16 a.m. Updated: Aug. 24, 2017, 10:25 p.m.